We are living in a time of information overload. The 21st century, and especially these past five years, has seen the rapid development of the Internet and smart phones, providing us with the incredible gift of accessing almost any information we want at our fingertips. Don’t know how to install your deck? Google it. Wondering how to change a tire? Check out a YouTube tutorial. Looking for ways to get fit? …Now here’s where things get interesting. Here in North America, we spend billions of dollars on health and fitness products every year. From books and meal plans, to prepackaged foods and DVDs — anything that will give us that fit, healthy body we desire. There are hundreds of exercise programs, diet approaches and methods out there to help you achieve your fitness goals, which makes it hard to choose and understand which one is right for you, due to the massive amounts of conflicting information. It’s only natural that we are attracted to products and services that promise big results for little effort, and this is where the health and fitness industry excels. They take advantage of the public’s desire for practical and applicable health and fitness information, and then try and sell us everything from detox diets and supplements to shake weights and belly belts, convincing us the entire time that we will achieve our fitness goals from using their revolutionary product and or service. The industry thrives on confusion. But that’s not to say that everything you read online, in magazines, blogs etc. is completely false. There’s a lot of good information out there, too. It’s just cluttered with false claims, promising big results in a short amount of time, pushing expensive supplements and fitness gimmicks, all with the end goal of making money. They create a sense of false belief by influencing a customer to buy a supplement in hopes of looking like the cover model, who is either pumped full of steroids or its literally their full time job to workout. Here’s the thing. If you are consuming any health and fitness content, you’re most likely looking to build muscle, burn fat, or both. So let’s get back to basics and take a look at the three major keys for each of these goals. Keep in mind that there are many more factors involved with fat loss and muscle gain, but here are three most important to each to get started. 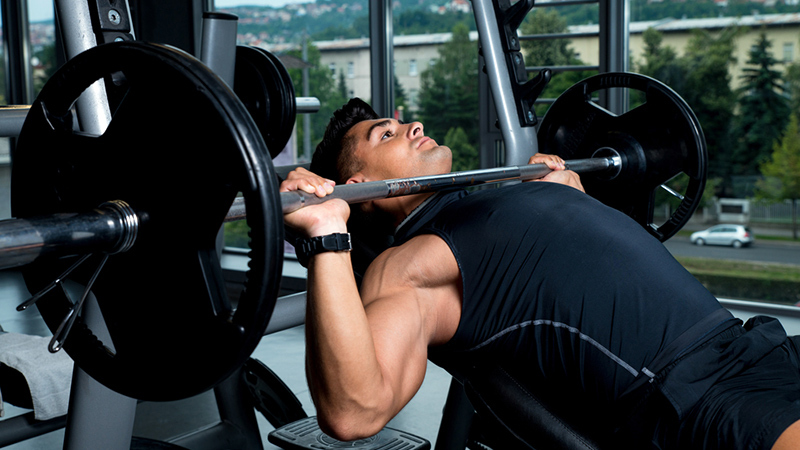 Tune out all the noise, and focus on these pillars of fitness. I promise you’ll see results. Your basal metabolic rate (BMR) is the amount of energy expended while at rest. So for example, if my BMR is 2,500 calories per day, I would eat that amount if I wanted to stay the exact same, and see no change in my body composition. But, for gaining muscle, I need to provide my body with extra calories to create growth. Therefore I would eat (and this is unique from person to person) around 350-500 calories over my BMR. Over time, I will gauge how I look and feel every day, and see if I am gaining weight too rapidly or slowly, and adjust my surplus accordingly. Usually about 0.5-1 lb per week is a good measure. But this surplus will mean nothing unless you are increasing the amount of stimulus placed upon your body, which brings me to my next point. Progressive Overload is the increasing demand on the musculoskeletal system in order to continually make gains in muscle size, strength and endurance. To put it simply: In order to get bigger and stronger you must continually lift more and more and make your muscles work harder than they are used to previously. For example, if I squat 200 pounds this week, next week I will try and squat 205 or 210 (depending on where you’re at in your training program). You can achieve progressive overload through increasing the weight, sets, reps, and frequency of your exercises. Without progressive overload, your body will not need to adapt and therefore will not get bigger or stronger beyond a certain point. Compound exercises utilize multiple muscle groups and joints with free weights. This means maximal muscle recruitment, high nervous system activation, and more of a stimulus for growth. Compound movements build the most muscle and increase strength the fastest. For example, if I am squatting, I’m not just working my quadriceps; I’m also working my glutes, adductors, hamstrings, erector spine, and rectus abdominals (core, for balance). If you go to the gym and just hop from machine to machine, isolating each muscle group and going through the motions, you won’t see as impressive gains as you would by incorporating compound lifts into your program. To sick with the example from above, if you need 2,500 calories to maintain your body weight, you should cut around 200 to 500 from that number (depending on how rapid you would like your weight loss). Keep in mind that we don’t want to lose weight too quickly, as it will waste away all those muscle gains you’ve been working so hard for. Around a pound per week is a good measure. But like in a caloric surplus, monitor how you look and feel every day, you might need to add or subtract calories depending on your rate of weight loss and how you feel. You can create this deficit through diet and/or exercise. For best results I recommend doing both. This is an important factor. I firmly believe that everyone should count their calories and macronutrients for at least a week so that they can get a basic understanding of what the caloric cost and nutritional value of the foods they incorporate into their diet every day contain and how it effects their body. For example, you might realize that there are a ton of extra calories and sugar in the two frappe lattes and cokes you drink a day. Cutting down on those (or just eliminating them all together) will help your fat loss efforts. Once you start looking at food labels more closely, you will now have a better idea of the nutritional value of certain foods, and you are better able to gauge how you set your diet in the future. Strength training falls by the wayside frequently when people start prioritizing fat loss vs. muscle gain. Sometimes the thinking shifts from lifting weights to doing an unnecessary high amount of cardio and circuit type training. Although cardio and circuit training is beneficial for helping you create that deficit for fat loss, please don’t let your strength-training die. You risk becoming a skinny soft version of yourself, and losing all the gains you’ve worked so hard for. There are hundreds of ways to exercise, it doesn’t have to be just in the gym all the time, choose something that you genuinely enjoy! Everyone has their thing, running, yoga, swimming, biking, soccer, football, paddle boarding (personal favorite), what ever it is that you find joy in doing, do it. Enjoy your fitness journey. You already know the lesson here: eat smart, focus on improving you workouts week to week, and think critically when someone tries to sell you a diet or product. There’s always a red flag when you sense someone is preaching or selling you fear, uncertainty and doubt. Do your own research, challenge your confirmation bias and be willing to change your mind as new evidence arises. Most importantly, remember what works for you may not work for someone else. Health and fitness is never a one-size-fits-all science, and there is usually a bit of a trial and error period before you find what works for you. Be patient and enjoy the process.